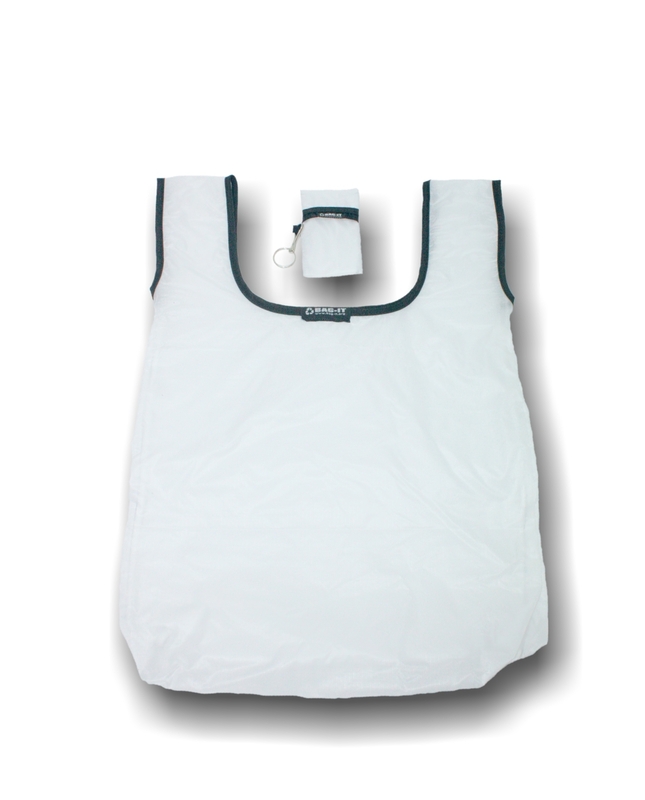 The White Shopping Bag-it, nifty keyring reusable fold up shopping bag in handy clip-on bag pack. 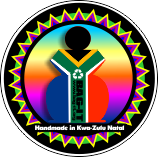 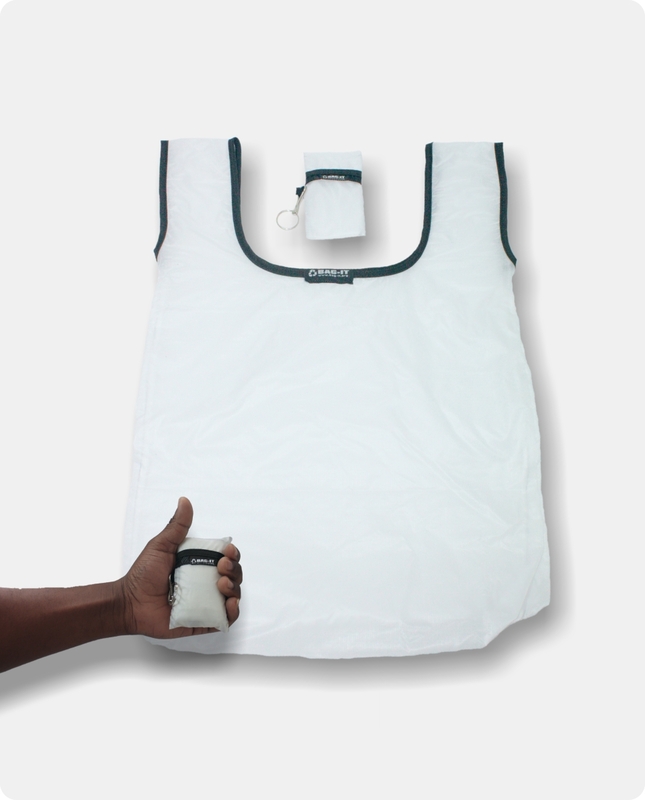 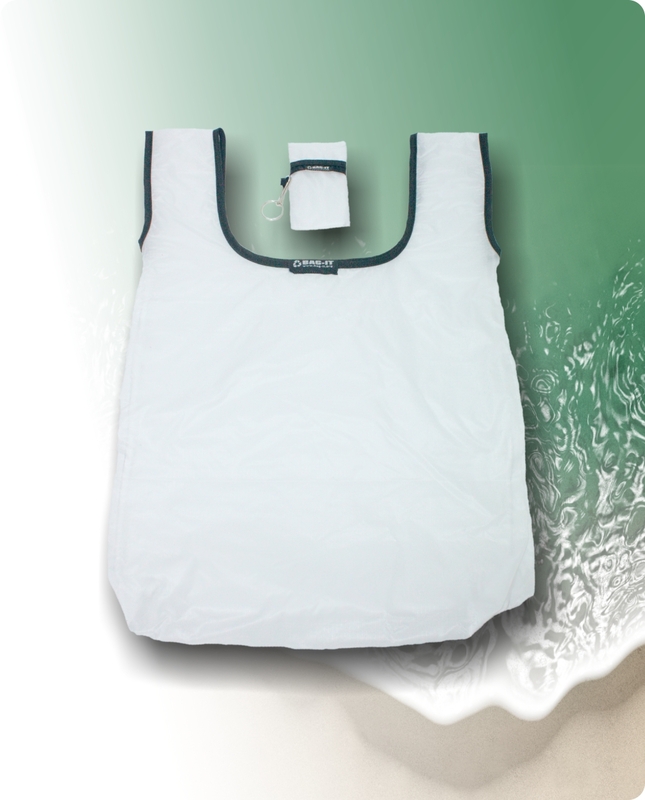 The White shopping Bag-it is designed to be with you all the time. 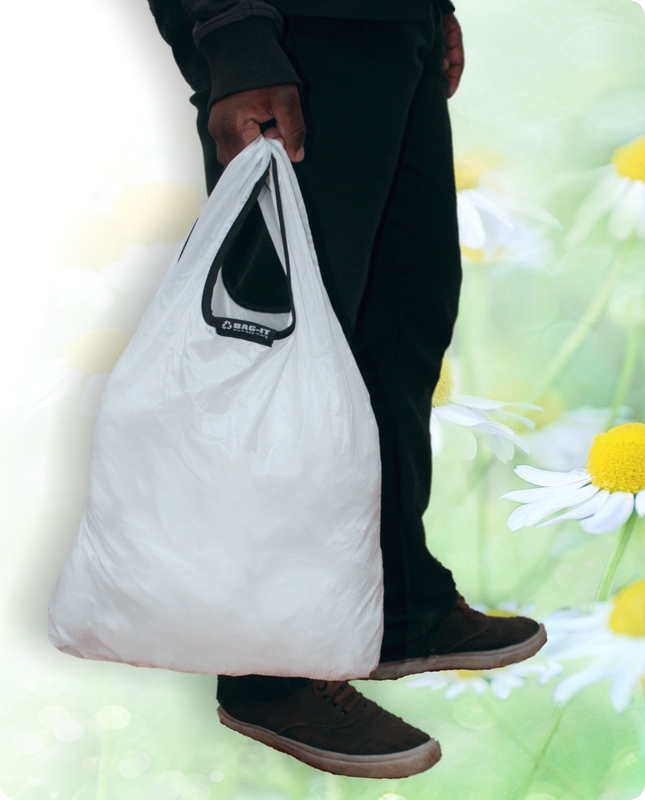 Bag-it fold up shopping bags.